Click on the image below to ‘walk’ around! You can click on the picture above and ‘drag’ the image to moveto a new viewpoint. Click the arrows to move to a new position. When you search in Google or Google Maps for businesses – such as ‘Pub in Cuckfield’ a number of red place markers (pins) are shown. 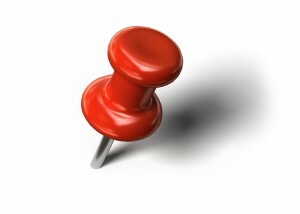 If you click on the pin, a pop-up allows you to click on a ‘More Info’ link, which opens the Google+ Local page for the business (this used to be called a Places page).If it’s your business, you can claim control of the page and add photos and descriptions of your business. There’s no cost to you for this page, which, if you make proper use of it, is effectively a free web site for your business provided 365 days a year by Google. Quite a bargain when you consider the cost of other media advertising that lasts only a limited period. 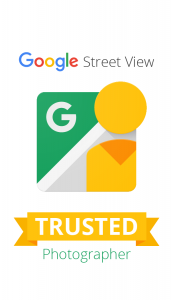 So that you can enjoy the benefits of Google Street View¦Trusted, independent photographers have been selected by Google to undergo the specialist training required to produce the tours and become Google Trusted Photographers. I’m available throughout all of Sussex to carry out your shoot and help you get the best out of your Google+ Local page. A virtual tour of your business using Google Street View¦Trusted is an opportunity to showcase your business to customers around the world. Our Street View technology will bring your business to life with a high-quality, 360-degree, interactive tour. The virtual tour will be visible on Google Search results, Google Maps, and Google+ Local, to give customers a better sense of the layout, decor and ambience of your business. Easily embed on your own business website and social media to attract even more potential customers. More details.